Audi has unveiled the RS version of the TT sports car. It looks gorgeous and does 0-100km/h in just 3.7 seconds! The all new Audi TT RS cabriolet has been spied testing at the Nurburgring race track. The car being tested is the German automaker’s all new front-engined convertible sports coupe. 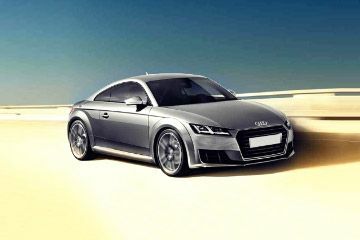 Audi India has launched its much anticipated TT sports car in an on-going event in Delhi. Priced at INR 60.34 Lac, the TT has only been launched in a single petrol-powered 45TFSI variant.